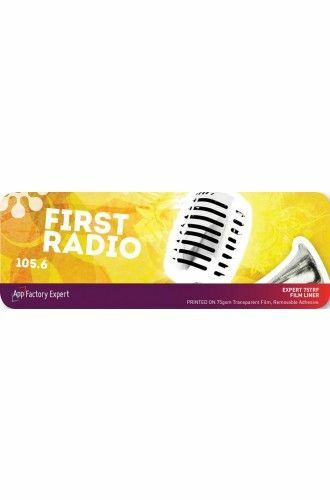 AppFactory Expert 75TRF is a 75gsm clear aqueous coated polyester film, with a cling/ultra-removable adhesive laminated to a matt anti-static polyester release liner. The construction is optimised for dry toner print applications. - Glass clear film to create window displays and removable stickers. - After removal of release film, the cling surface sticks to glass, gloss paint & non-coated metals & non-coated plastics (ABS, PP, HDPE). - Ideal for window signage, counter labels, packing labels, retail coller & freezer signs. - No adhesive residue and it can be repositioned easily. Cautions: Some surfaces such as Formica may cause the cling surface to behave like a permanent adhesive after time. Please see our separate guidance sheet for further detail on usage.